There’s plenty of space on the internet for everybody. People love to share ideas, give shape to their thoughts, and maybe even reach a global audience. How to put yourself on the path to achieve all of that? For once, what if you start a personal blog? Blogs are super-effective for a couple of reasons. Chief of them is that 77% of internet users read blogs, so your audience is already out there. Moreover, creating a personal WordPress blog isn’t hard to do, so why not try doing it yourself? In this post, we will lead you through all the steps you need to take in order to start a personal blog that is effective, cheap, good-looking, and on a path to success. This is your ultimate guide to a personal WordPress blog, and all the resources you need to make it happen. As I mentioned, everybody reads blogs. If we take a look at the other side of the barricade, people who blog usually do it on WordPress. Statistics say that the WordPress platform runs more than 30% of the internet (as in sites built with it). But some first-time users might not know that there are actually two types of WordPress: WordPress.org (aka the self-hosted one) and WordPress.com (which comes with hosting included, but not the same flexibility). There are many differences between the two platforms, but I’ll summarize the major ones so you can get a clear picture of who’s who. Doesn’t come with any hosting. However you can get a good one with a free domain included for only $2.95/month using this link. You get free hosting, but WordPress.com limits you to 3GB of space unless you upgrade to a paid plan. You need a custom subdomain, for which you have to pay an additional price. Gives you a free subdomain with the format yourblog.wordpress.com, but you need to upgrade to a paid plan if you want a custom domain. When it comes to security, you need to take care of your site alone via plugins, but you’re in control of everything. Security is not your job, you get basic security and backup services automatically. You can install any plugins/tools and design your site any way you want, no limitations at all. You can’t install any third-party plugins whatsoever. The themes also come in a limited number, with limited customization options. You have full control over every aspect of your site. You do not have any control over your site’s design, performance, or functionality. You can only use what’s provided by WordPress.com package by default. Check out the full comparison between WordPress.org and WordPress.com here. Let’s talk about the actual process of building a personal blog. The very first step in creating a personal blog is hosting. Since there are loads of good hosting companies out there, each providing diverse and attractive packs of features, I imagine it’s kind of hard for you to pick the one that fits your blog the best. Sign up for web hosting (I recommend Bluehost). Pick a domain name for your personal blog. Domain Wheel will get you started if you’re running out of ideas. Make sure WordPress was installed during the hosting account setup. Bluehost is the cheapest shared hosting service for WordPress, and probably the most efficient in terms of price/features. It provides support for 1 site and comes with a free domain. All for only $2.95 per month if you use this link. SiteGround is also one of the most popular and cheapest WordPress hosting options. For only $3.95 a month, you get support for your blog’s performance and 10GB of disk space. Apart from that, the plan can handle up to 10,000 visits monthly. 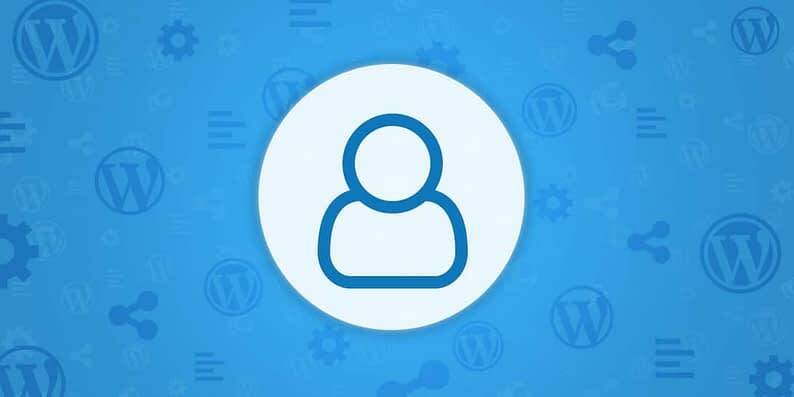 Now, the best part with either of these hosts is that they will get WordPress installed for you – or you’ll be able to install it from your user panel. That’s why you don’t need to go to the WordPress.org website. All the installation happens via your web host. The only thing you need to do is go to your host of choice, click the sign-up button and then go through the procedure. You’ll be taken by the hand through the process. When you’re signing up with a host, you’ll also get a chance to pick a domain name for your site. Domain names are how visitors will identify and access your website. For example, our domain is themeisle.com. Once you’ve signed up for a hosting plan, you’ll still need to set up WordPress. How this process works will depend on the host you selected. 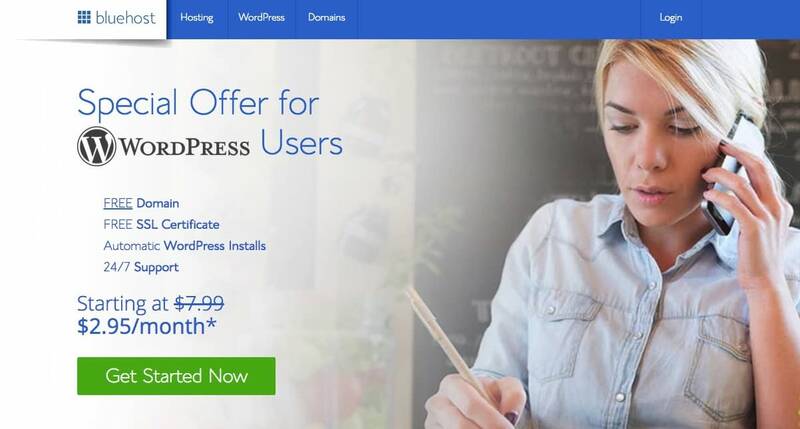 Some, such as Bluehost, give you a working instance of WordPress right out the gate, or provide you with a one-click installation option during signup. All you have to do is fill out some basic information, such as your site’s name, your admin username, and so on. 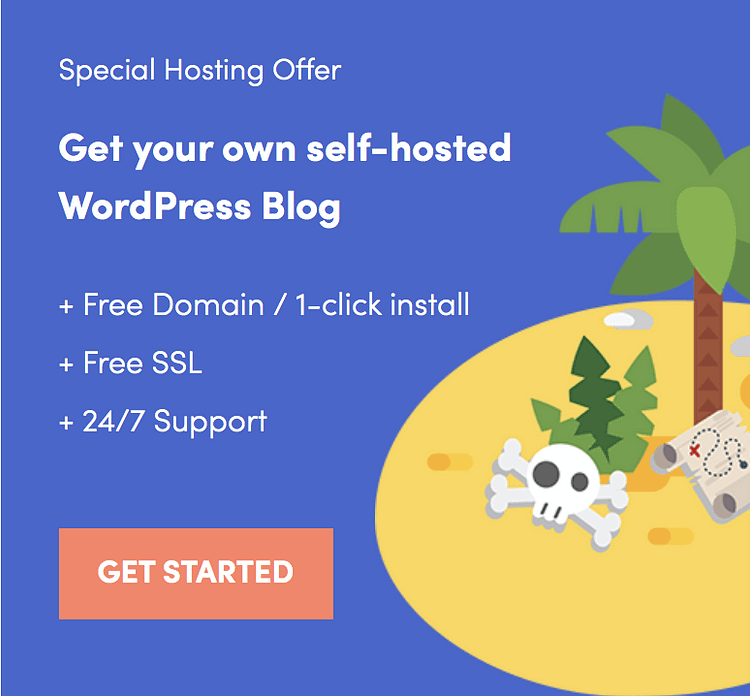 What if your host doesn't install WordPress for you? CPanel is packed with options, which can make it look intimidating. Fortunately, there are plenty of guides available on how to set up WordPress using cPanel. If you run into any problems along the way, you can always check out your hosting service’s documentation, or contact their support team to get help. If you’re the kind of person who likes to write, having your own blog can be a great outlet. You can create content about whatever you want, whenever you want, and share your thoughts with your friends, network, and complete strangers. If you’re feeling entrepreneurial, you can even use your personal blog to network in your field by writing about the latest developments and your own insights. A focus on blog posts. Unlike static WordPress websites, you want your blog posts to take center stage. Some personal information about yourself, to personalize your content and help your audience make a connection. Links to your social media profiles and general contact information, for visitors who want to follow you or get in touch. A carefully chosen blog post format, to make each entry highly readable and engaging. Fortunately, all four of these elements are straightforward and easy to achieve. That means you probably don’t need to use a fancy premium theme or seek out complex features. Instead, you can opt for a free alternative that’s better for your budget. We talked about how to make your personal blog run smoothly on the backend, but now let’s discuss a bit about its design, which is hugely important for those who read your blog. First of all, it has to be intuitive and make it easy for people to read your site, as well as provide a friendly and organized navigation structure. No matter how great your posts are, if the way you present them is hard to follow and annoys people every time they try to navigate to your blog, then it’s all in vain. To add a beautiful and intuitive theme to your personal WordPress blog is actually very simple, it only takes a few quick steps. The more difficult part is to decide on one single theme because WordPress has tons out here: free, good-looking, feature-rich, of all kinds, and for all purposes. This particular theme is based on material design guidelines, which results in a very modern look. Plus, it has everything you need to include the vital elements we talked about earlier (such as contact information and a personal bio). 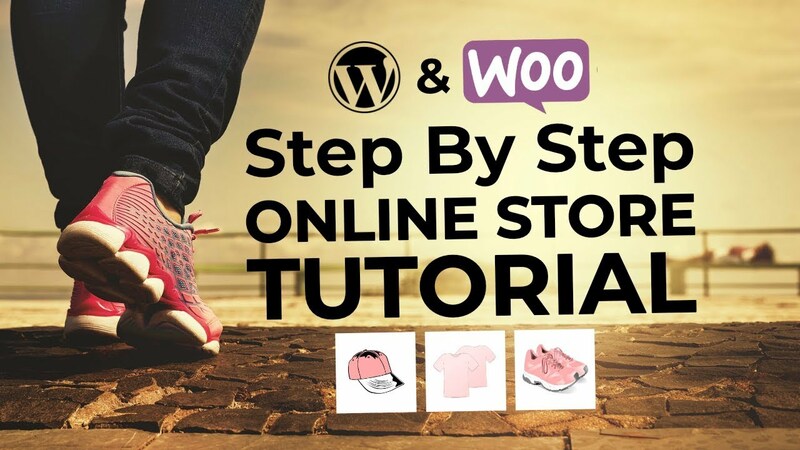 To set it up, you just need to follow a few simple instructions (which also apply to other WordPress themes). Aside from choosing hosting and a theme, which are mandatory, you have tons of optional tools built to work with WordPress, ease your blogging activity, and increase your productivity. Some can be used directly online and others will require installation on your dashboard, but all of them are very intuitive and make your writing more pleasant. 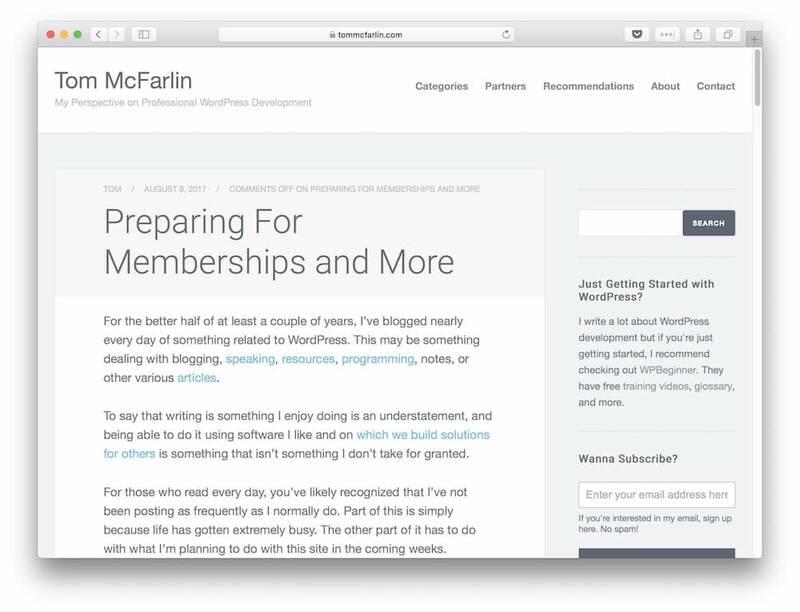 Jetpack is a great multifaceted plugin for anyone who wants to start a personal blog. It automates social media posting by sharing every new blog entry on your social channels. Also, the plugin creates beautiful photo galleries that you can include in your posts and can help you by providing various site stats right in your admin dashboard. Here’s our guide on how to get started with Jetpack. With Revive Old Post, you can automate your social media posting process so you don’t have to manually share every entry. Once you configure the plugin, it does everything for you. It will post alone continuously until you stop it. This way you save a lot of time, which you can use for writing. This is a nice online tool created by Hubspot that generates content ideas based on the keywords you’re interested in. You write three keywords that you think are relevant to what you want to talk about and the tool returns five related headlines. Here’s an additional guide of ours on how to come up with good blog post ideas. Another great free tool that lets you know about which topics are popular. 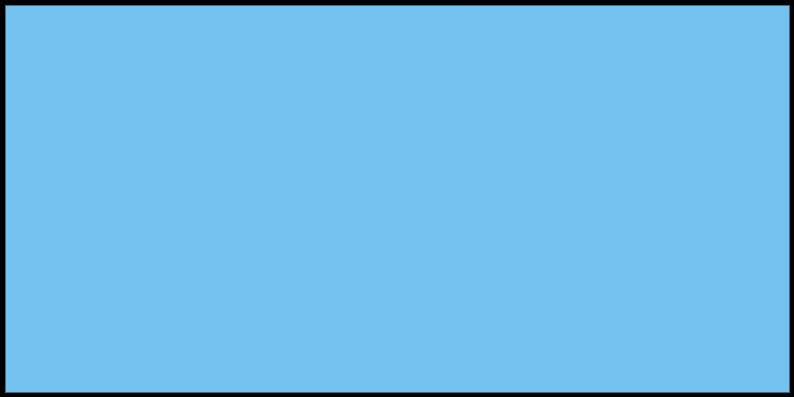 Enter a topic into its search box before starting to work on it and BuzzSumo will analyze what content works best for that given topic. With this tool, you can also find out what’s the most successful content published by a specific blog: enter its URL and you get a list of the most shared posts. Install the Grammarly extension in your web browser and then start writing your post in WordPress. The tool will mark nearly every mistake in your work. So make sure you check your grammar before you hit Publish. A great helper tool for anyone who’s planning to start a personal blog. 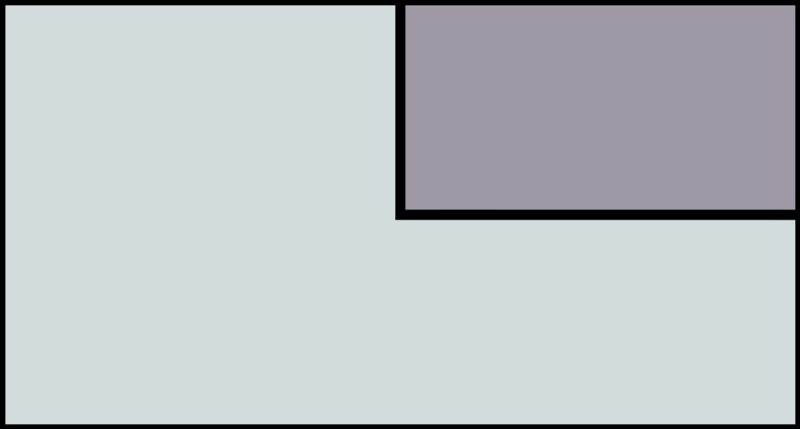 For every blog post, you need pictures. While you can always use some of your own pictures, most of the time you will use free images from the internet. MyStock.Photos is ThemeIsle’s photo collection providing awesome high-quality images that you can use anywhere you want. All are free, so use them as much as you’d like! Yoast SEO is a free WordPress plugin that takes care of your SEO optimization. It gives you indications on what adjustments to make on every single post so that your post can rank higher in Google. Here, you can set a title for your post, write about whatever you want, and insert images and other media. When you’re done, you can save your work as a draft or publish it right away – it’s all up to you now! Is a personal WordPress blog a big commitment? How often should you post? There’s no hard and fast rule here. After all, that’s why it’s called a “personal blog”. You don’t have to face rules and deadlines, but you should still try to post at least once a week if possible (you’ll find plenty of counter-examples, though). Of course, it depends on what you use the blog for. If you just use it to put your thoughts on paper (screen), then you should write every time a great topic comes up to your mind. If you use it for talking about hobbies and want to grow a community around it, then you should try to post constantly – at least weekly. For example, even in the WordPress space, you can find a variety of posting schedules. On one end, you have Tom McFarlin who posts daily. While on the other end, you have someone like Brian Krogsgard who publishes every few months. Like I said before, even if you start a personal blog about your hobbies, for instance, this can help you shape your thoughts and connect with other people who love the same things you do. But another important reason why you should have a personal WordPress blog is professional exposure. You might not create your blog solely for that purpose, but it can be a nice unintended side effect. For instance, if you’re sending a resume to a company, a link to some relevant content written, collected, and researched by yourself can get you extra credit. You can even get job offers thanks to your blog! A personal WordPress blog can sometimes help you in your career too because it helps you build your personal brand. 61% of the survey respondents admitted that they have received a job offer because of their blog. 79% said their blog is either very important or important for their personal brand. When you are online in so many places and have accounts on various platforms and social media channels, it’s hard not to get things mixed up for both your friends and potential employers. Nowadays, employers tend to check all the online references that lead to you before inviting you to an interview or hiring you. According to CareerBuilder, 40% to 60% of hiring managers use social media to analyze and get an overall opinion about potential employees. If they’re searching for you online like that, there’s a good chance they’ll stumble across your personal blog. In short, a good personal blog can help you make a good first impression and boost your chances of finding new opportunities. Potential employers are likely to find your personal blog, making it a good place to boost your job-worthiness in their eyes. While unintended at first, those are some serious positive business consequences from personal blogging. In the end, instead of being just a reader of other people’s opinions and stories, you can create your own content and share it with the world. All your discoveries, all your thoughts, your daily stories … all can lead to something great. And apart from inserting yourself in nice communities of people who share the same hobbies and interests as you, a personal blog can also lead to improved professional opportunities. Pick a platform between WordPress.org and WordPress.com. We recommend the first one because you will have full control over your site. Choose the right WordPress hosting. For a personal blog, you don’t need the biggest fish out here. Cheap WordPress hosting is fine. Choose a beautiful theme. 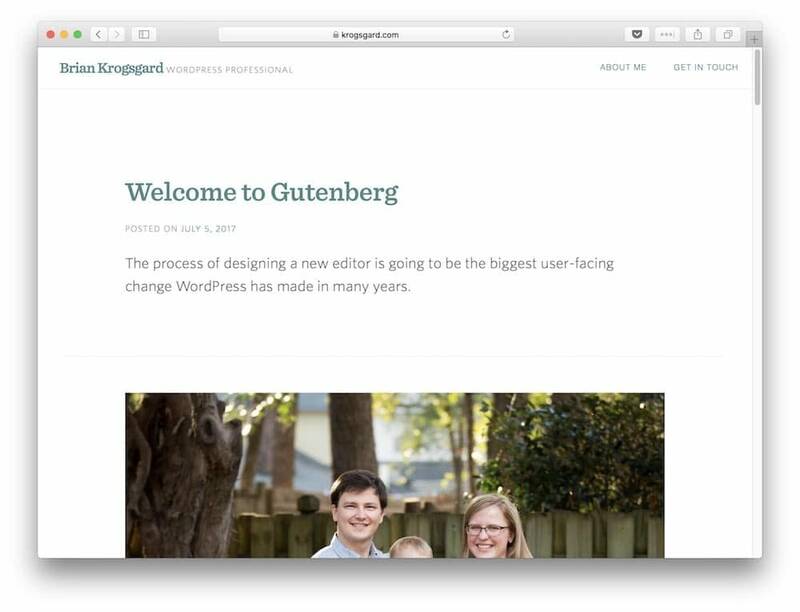 There’s a handful of nice free WordPress blogging themes that you can choose from. Install, try, customize. You can play with their design so you can see which one matches your site the most. Go ahead and install efficient and free-of-charge tools and plugins that will make your blogging easier and more fun. Think about the range of topics you would like to tackle. If you don’t know yet and just want to write random stuff, that’s also a start. A blog is a way to express yourself. Try to create a personal calendar or a notebook in which to set deadlines on writing. You don’t have to post daily, once a week is enough. The key is consistency. I hope this has been helpful! Do you have any questions about how to start a personal blog on WordPress? Let’s talk about them in the comments section below!